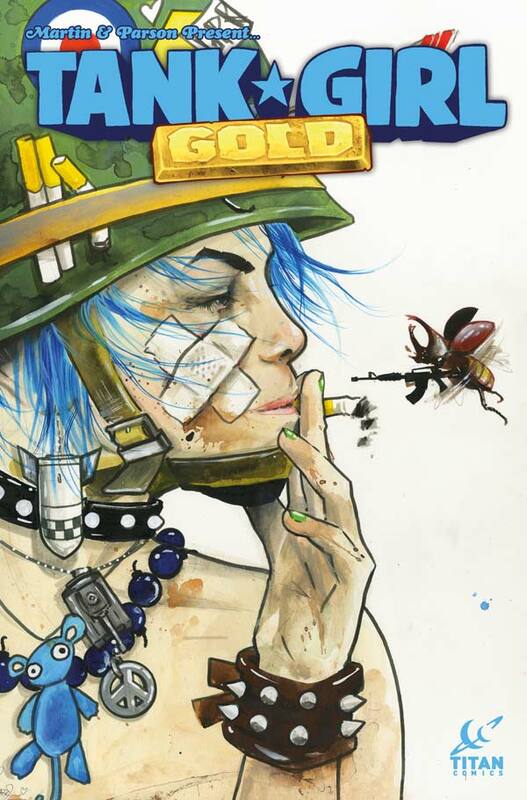 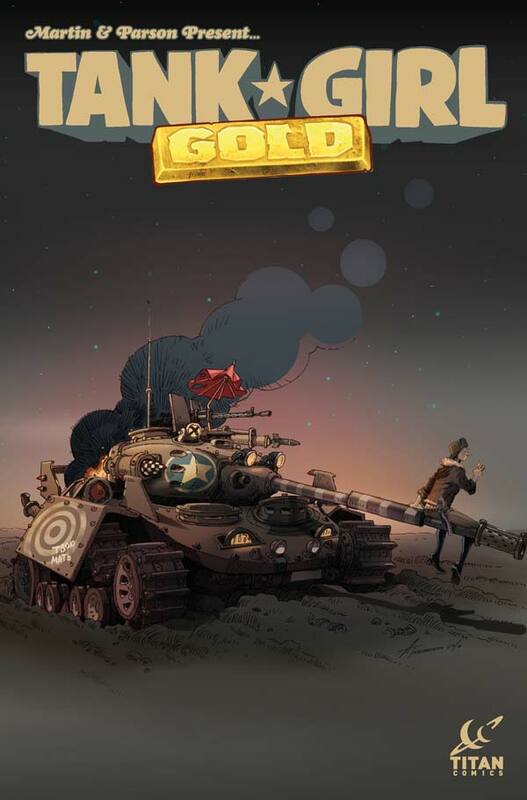 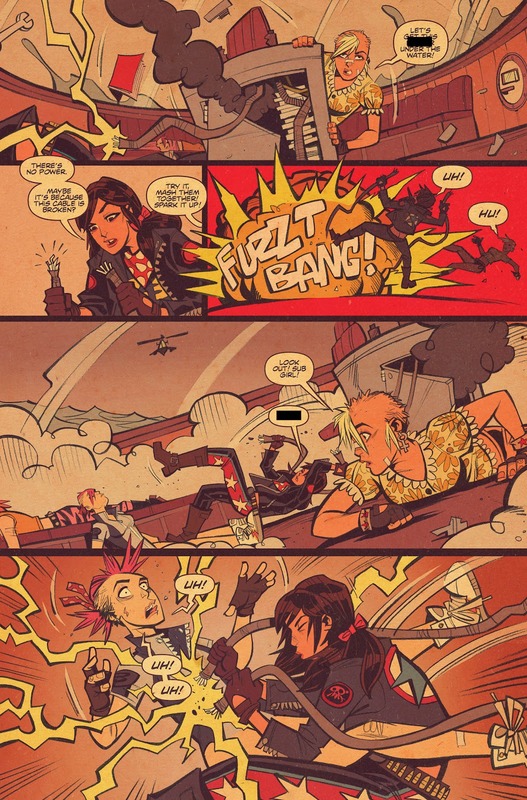 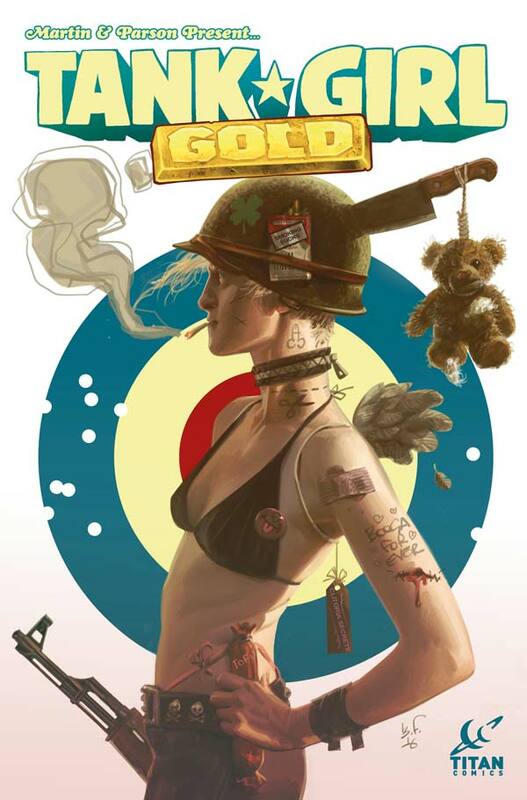 The Fellowship has obtained a first look at TANK GIRL GOLD #1 from Titan Comics. 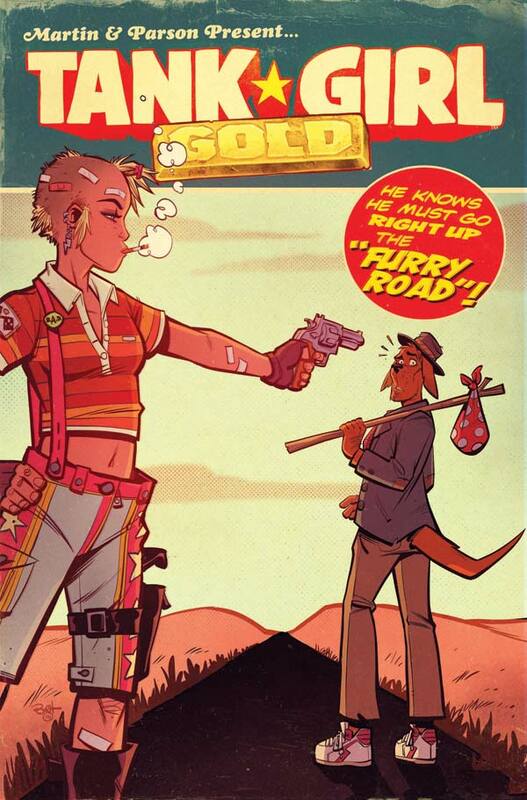 The issue, which hits stores September 28th, is written by Alan Martin with art by Brett Parson. 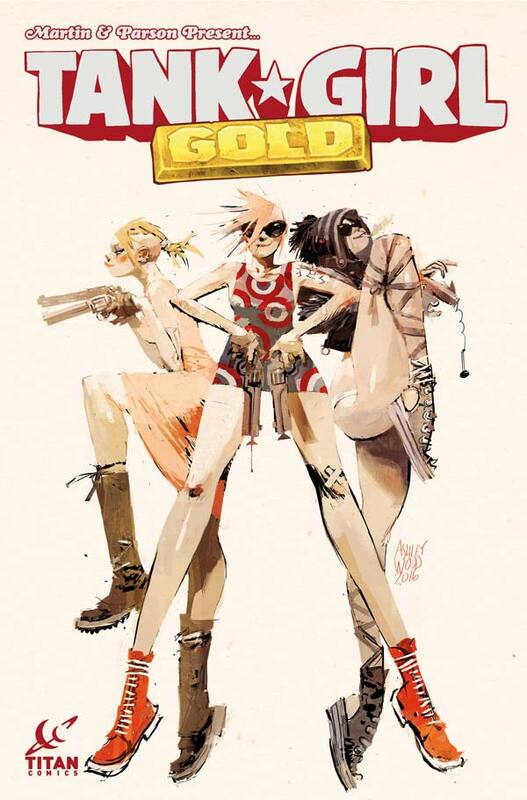 The covers are by Ashley Wood, Black Frog, Andrey Tkachenko, Lora Zombie, and Brett Parson.